Biscuits are a great food. They can enhance your dinner, you can eat them on their own, or you can use them to make sandwiches. If you’re having a meal that has gravy, biscuits are pretty much a must in order to sop up every bit of rich, meaty goodness. One could argue that you could use dinner rolls for this as well, which is true. But the downside to dinner rolls is that they’re made using yeast, which means they need time to rise, and aren’t as easy to make. 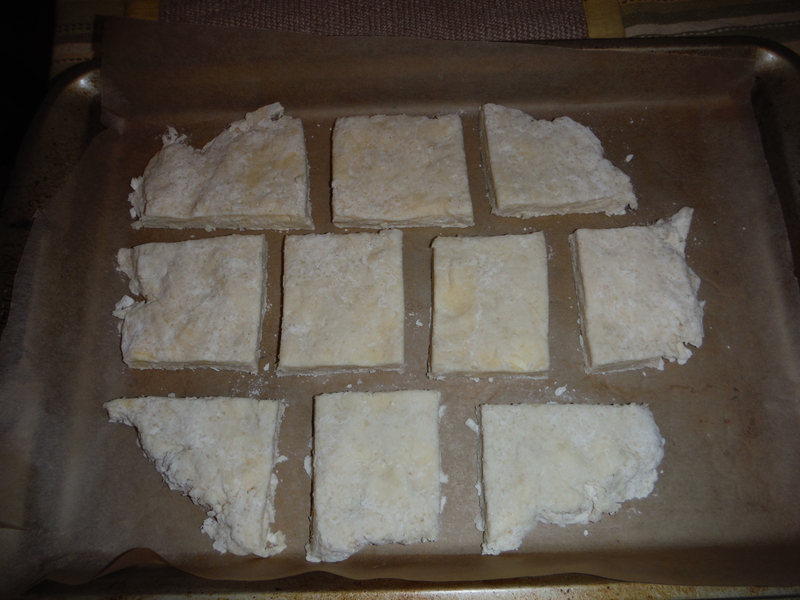 Biscuits on the other hand, are very easy to make. They use chemical leavening to rise (baking powder/soda) so there’s no downtime like there is for yeast breads. While there’s nothing wrong with using the biscuits from a can (which I admit I frequently do myself), biscuits from scratch don’t even really take that much more time, so it’s worth giving them a shot when you have a little extra time. Everyone will be super impressed with how yummy they are, and that you made them from scratch. What you’ll need. Milk not pictured because well, I’m forgetful, and I also just realized the sugar is hidden. Preheat oven to 450 degrees Fahrenheit. 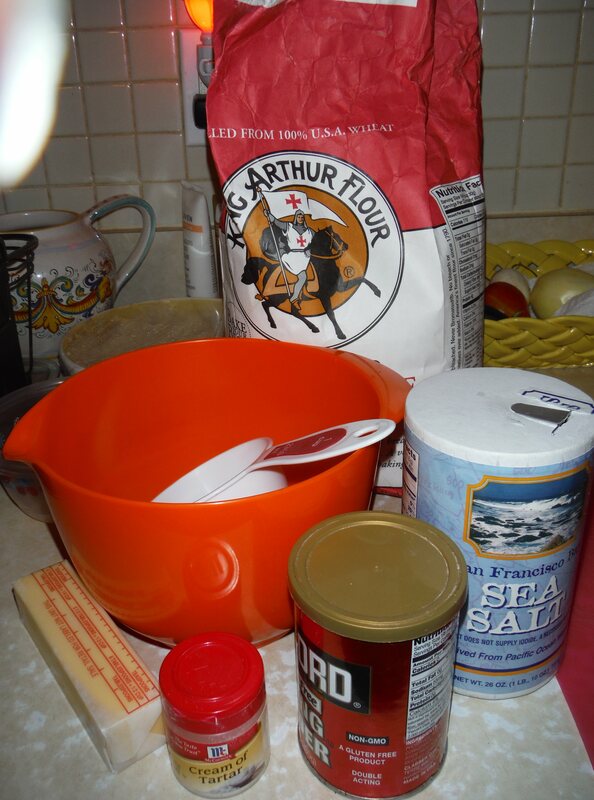 In a medium bowl, combine the flour, baking powder, sugar, salt, and cream of tartar. Cut in the butter. If you have a pastry cutter you can use that; I usually just use my hands though. I feel like I can better coat the butter in the flour that way, and thin layers of flour coated butter are what give you super flaky biscuits. Warning, if you have long nails like I do, make sure they’re clean underneath. You are going to get butter and flour stuck up there. 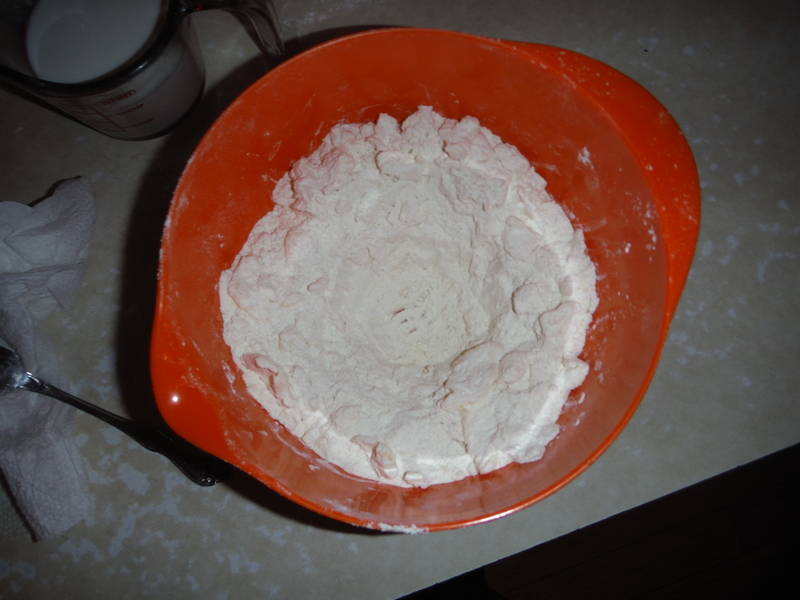 Make a well in the center of the bowl, and add the milk. 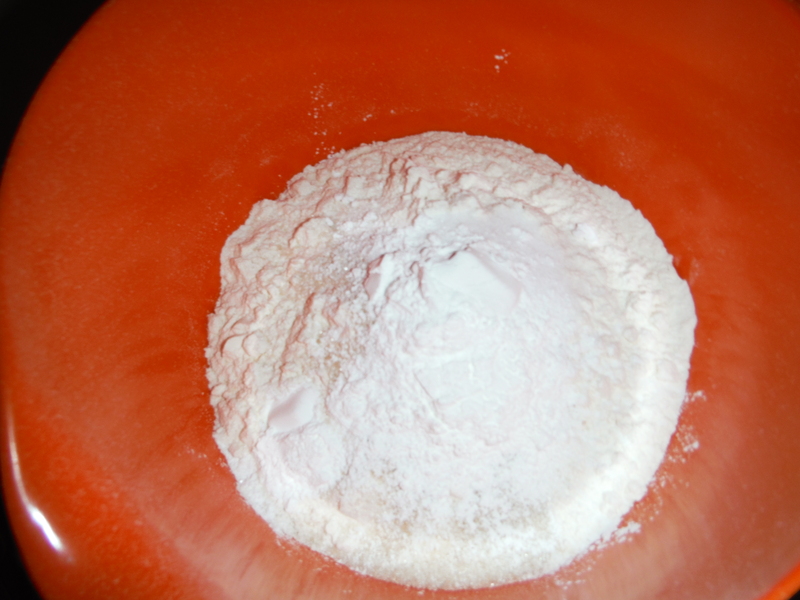 Use a fork to stir the ingredients together until the dry ingredients are just moistened. 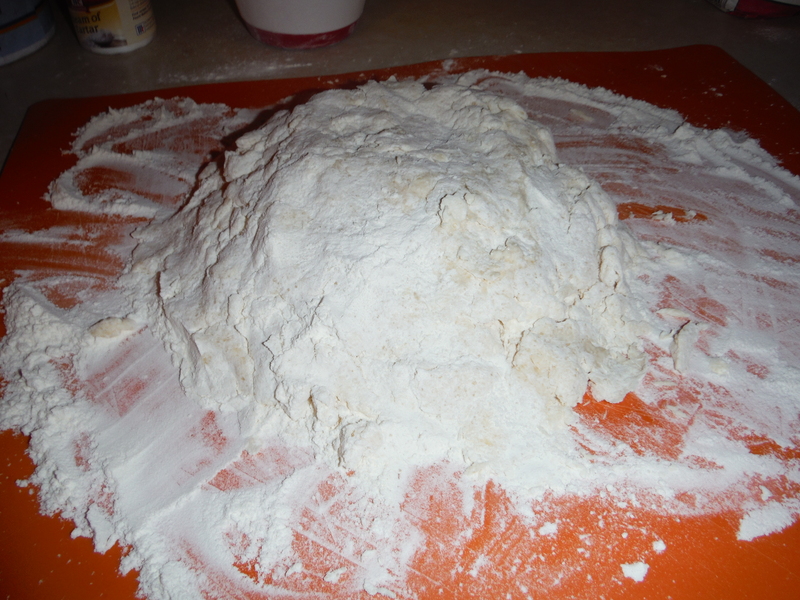 Lightly flour a clear surface (counter or cutting board) and knead the dough until it holds together. 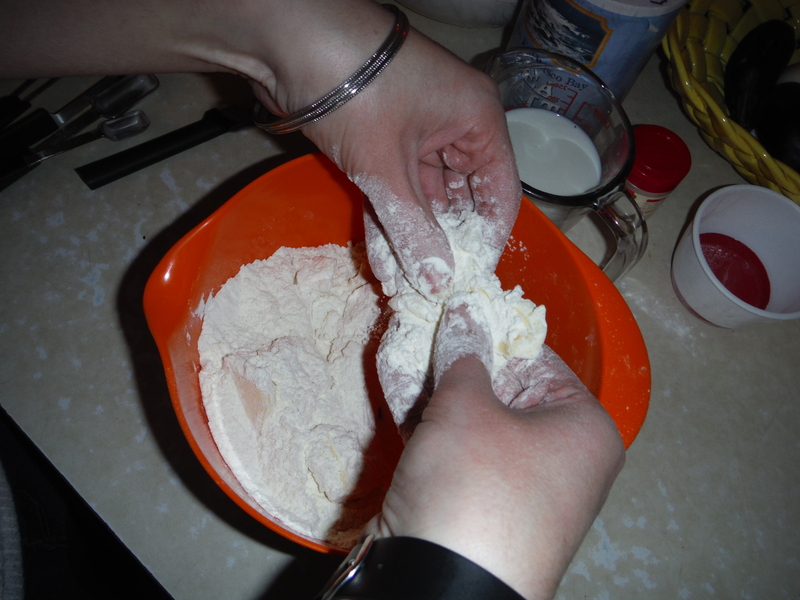 Pat the dough out until it’s about ¼ inch thick. Cut your biscuits. 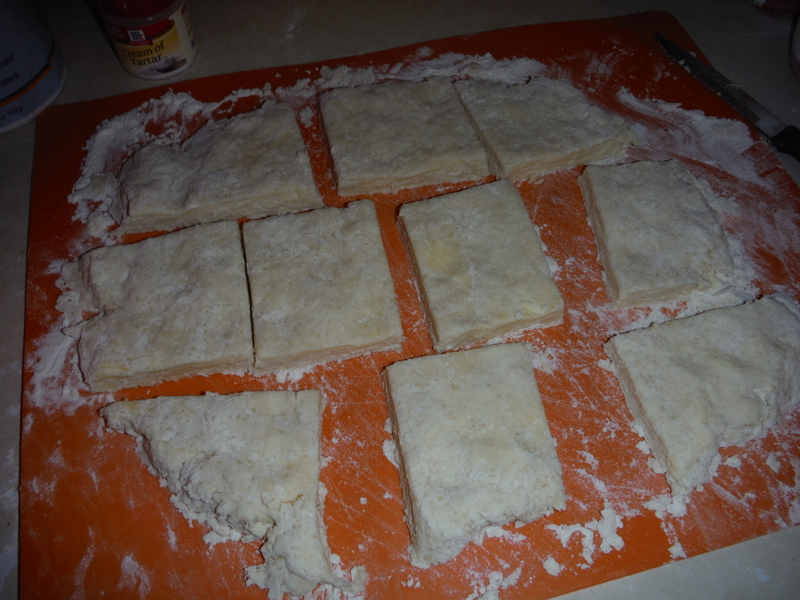 Now I just cut them into rectangles because it’s faster and easier. But if you want round biscuits and have a round pastry cutter you can do that too. 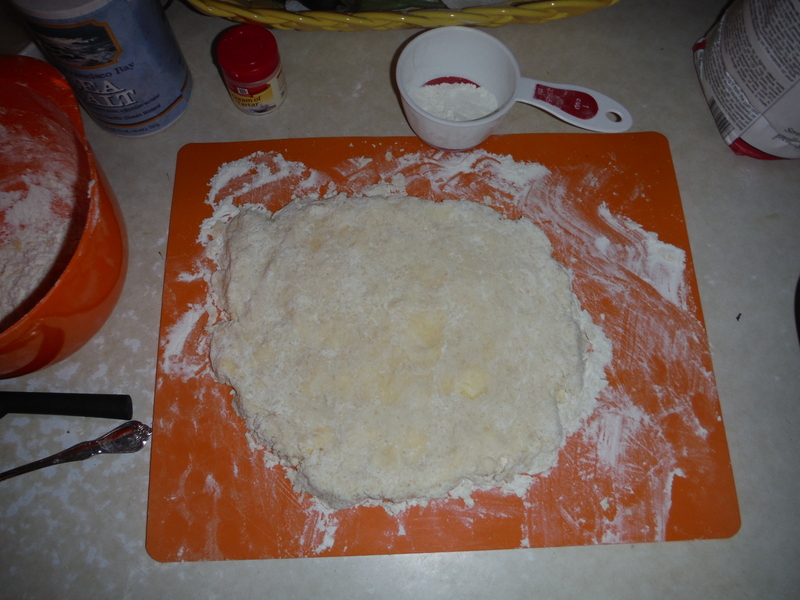 But you’ll have to keep re-kneading and patting out your dough to use up the excess dough left around the circles. Place them onto a baking sheet lined with parchment paper (okay, you don’t really need the parchment paper, but then you’re going to have to wash the baking sheet afterwards instead of just throwing out the parchment paper and putting the baking sheet away). Brush the tops of the biscuits with the melted butter. Bake for 10-12 minutes, until golden brown. Depending on your oven you may need to rotate the pan during baking. 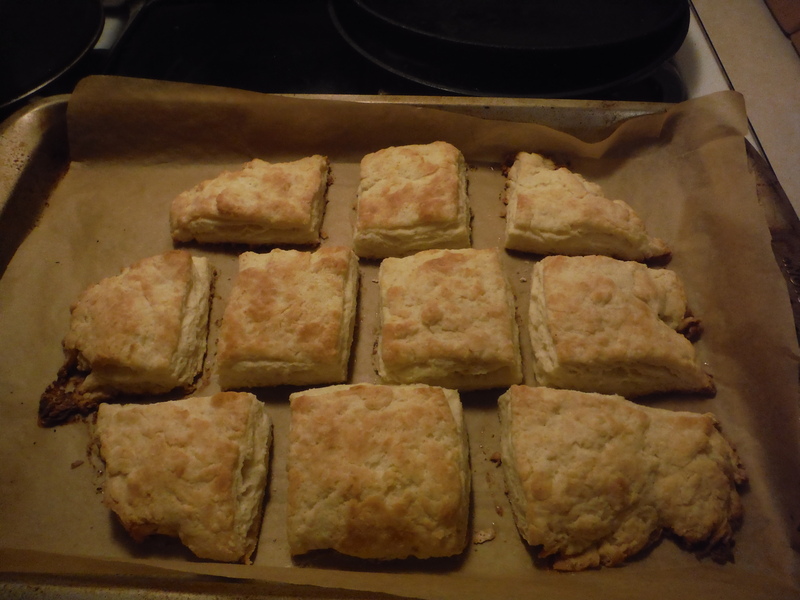 All that’s left after that is to let biscuits cool to handle-able temperatures and enjoy! They don’t even really need butter added to them, but they’re amazing with gravy. So there you have it. 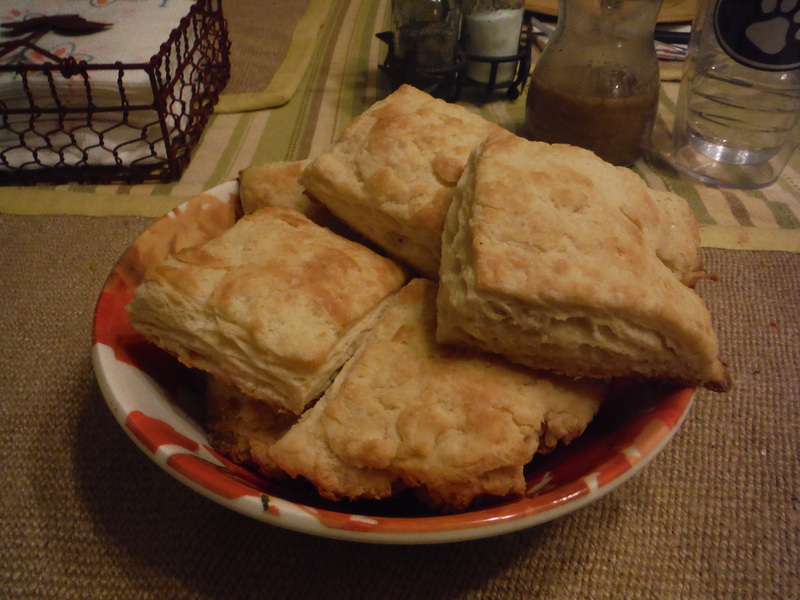 Homemade, delicious biscuits in like, 20 minutes. Considering most packaged biscuits take 13-18 minutes to bake (depending on variety) it really isn’t that much of a time difference. Just make sure to have a napkin or plate underneath when you eat them, they are super duper flaky, as I’m sure you can tell from the picture. Posted on November 17, 2014, in Food 101 and tagged awesome, baking, biscuits, brunch, easy, knowledge is power, recipes, vegetarian, yummy. Bookmark the permalink. 2 Comments.